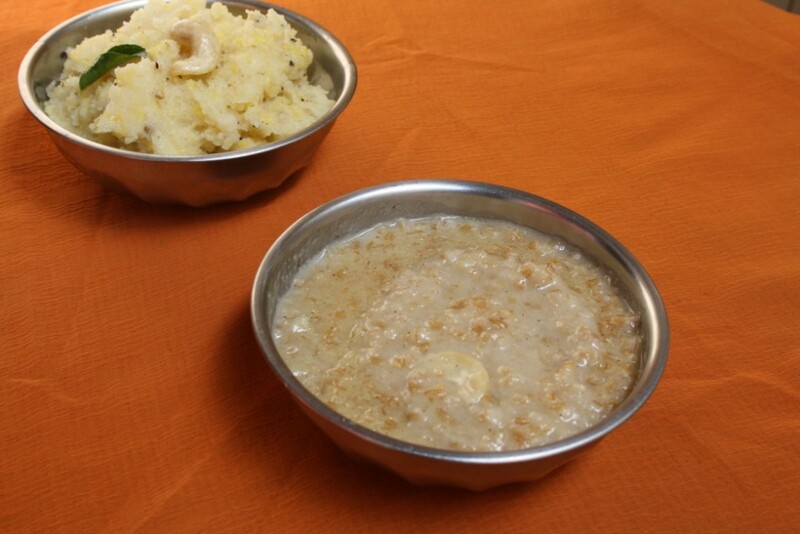 For the Day 6 of Navaratri Pooja, I made a pongal with Rava – Rava Pongal and Broken wheat Payasam. 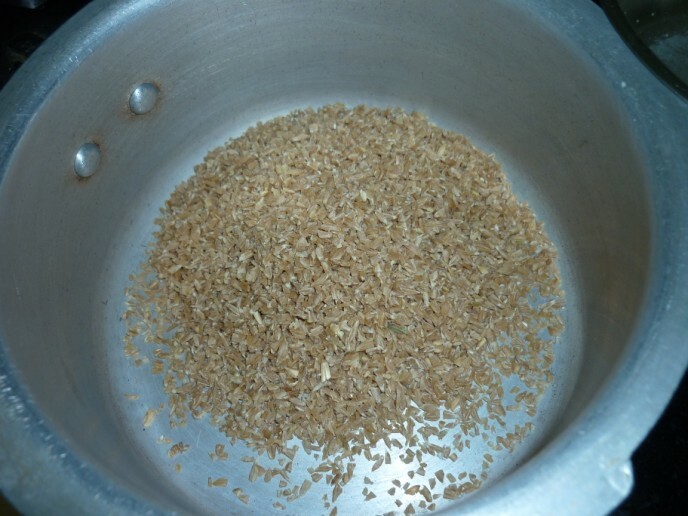 Rava Pongal Recipe was the most simplest one you can get to make when you are pressed for time. Mondays are always pressed for time, we have few other things happening, plus the fact that you are still lazy with the aftereffects of Sunday. Kids have their school off this whole week. So they were so busy with their games, running around crazy. 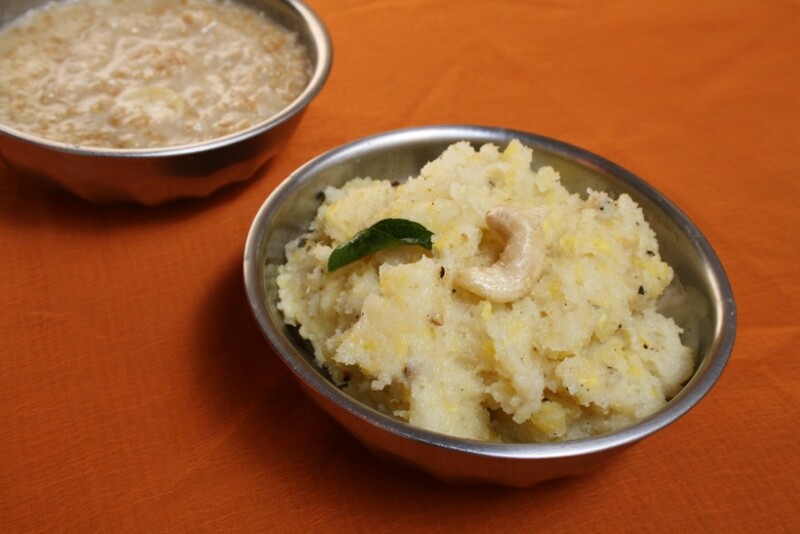 Coming to the recipes for today, here’s another interesting Pongal Recipe, made with Rava / Semolina. This is exactly the same way I made the Ven Pongal with crushed peppercorns. 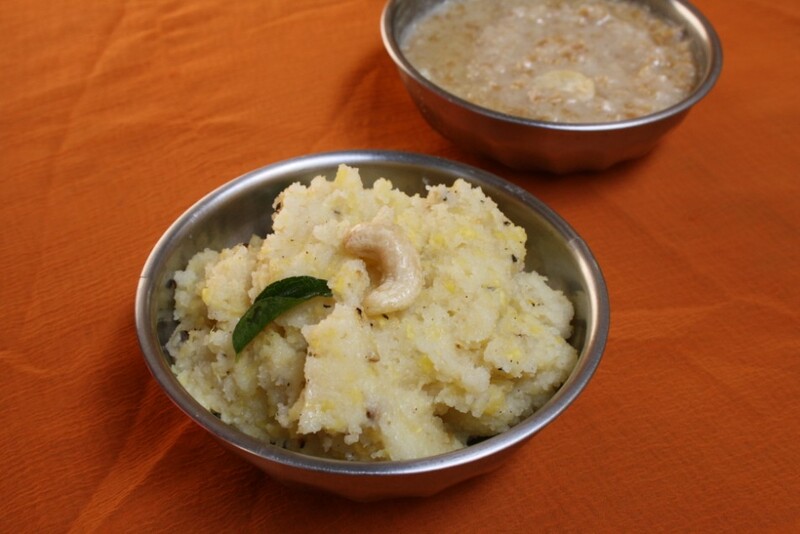 This version of pongal also turns out delicious, on top of being very quick to get done. The total cooking time is as it only takes about 15 – 20 mins of cooking time. You don’t have to soak anything here. Wash and microwave Yellow moong dal with 1 – 1 & 1/2 cup water for 15 mins. End of this, the dal should be really mushy. 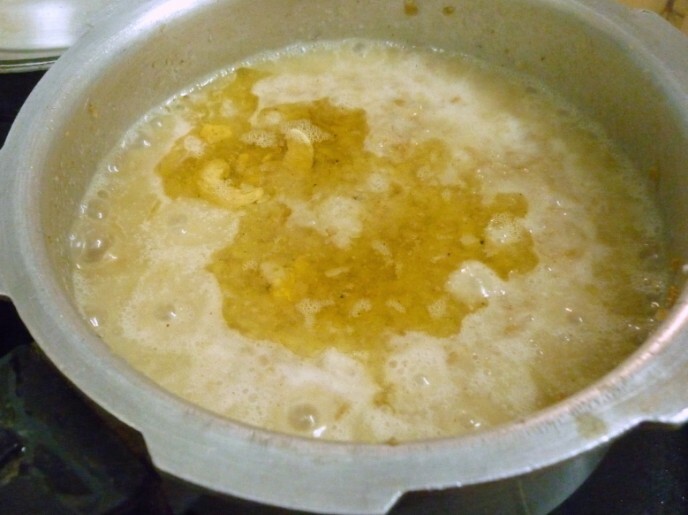 In a non stick pan, add 1 tsp ghee, roast the rawa till it starts turning brown. Remove to a bow. 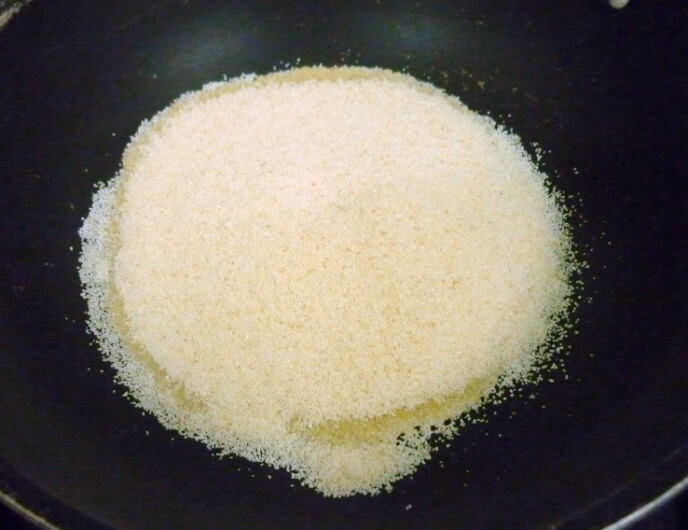 Add 3 cups water to the same pan along with salt. Bring to boil. 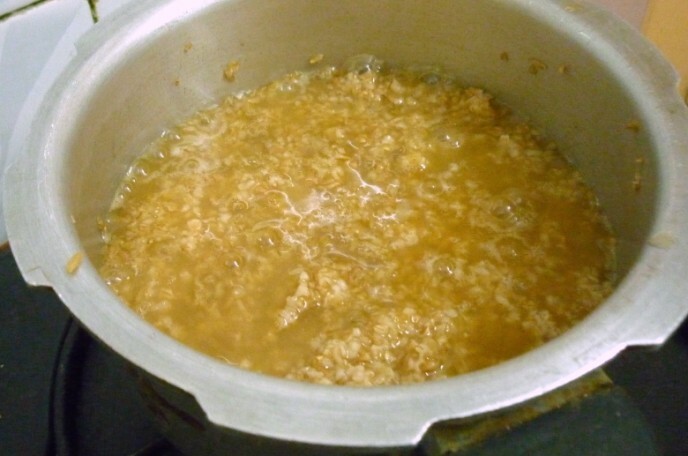 Simmer and slowly add the roasted rava and cook in simmer for 5 – 7 mins. When the rava is cooked well, add the cooked moong dal, combine everything. Cook with a lid covered. 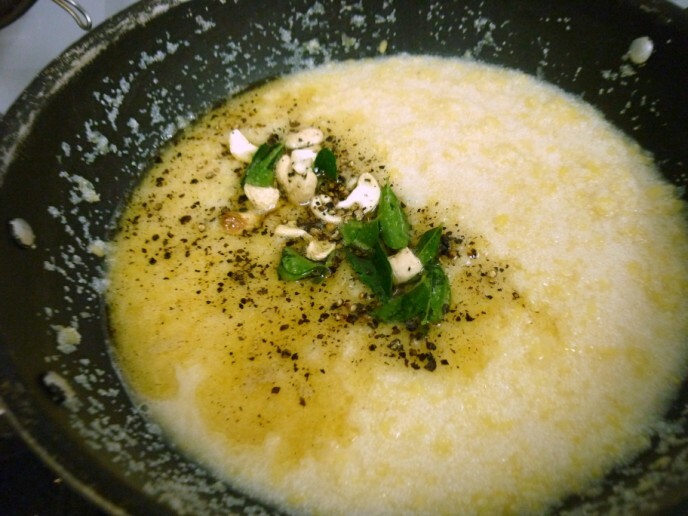 In another pan, heat ghee add crushed peppercorn, cashew, cumin and curry leaves. Pour this over the cooked pongal. Combine everything and serve with chutney. The sweet prasadam for the day was made with broken wheat along with Jaggery and coconut milk. Since I was short of time, I used the coconut paste I had on hand. Else this can be made with extracted coconut milk. 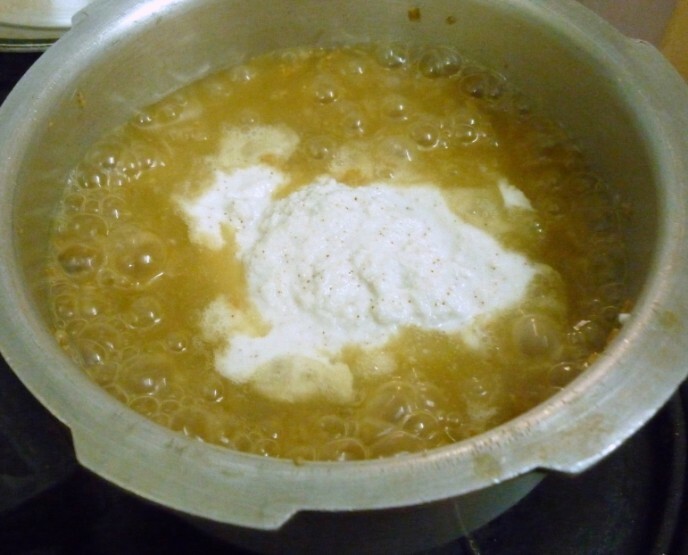 Coconut paste – 4 -5 tbsp / Milk from Half of a medium size coconut. Wash and pressure cook the broken wheat for 3 -4 whistles. Allow the pressure to fall down. 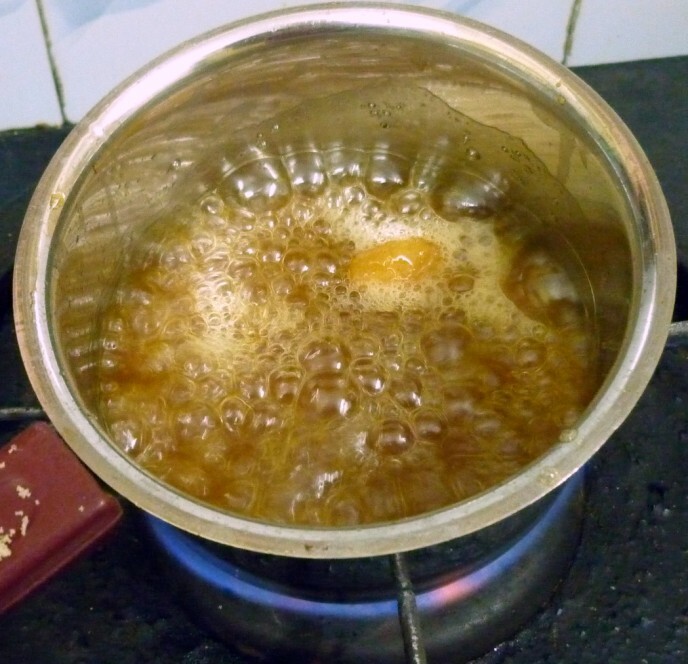 Meanwhile melt the Jaggery and sieve it to remove impurities if any. 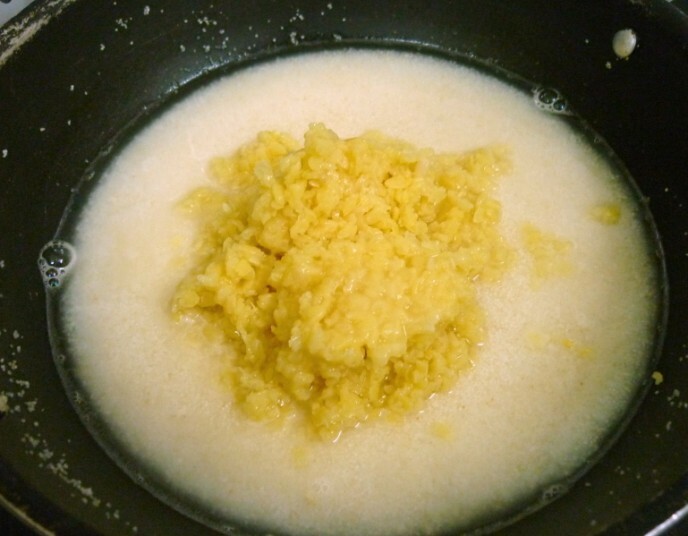 Once the pressure falls off, pour the Jaggery into the cooked wheat. Simmer and bring to boil. 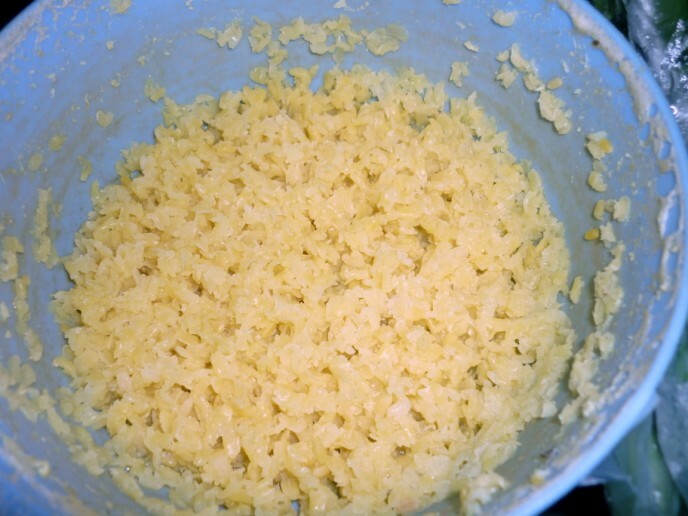 Once it becomes thick, add the coconut paste. 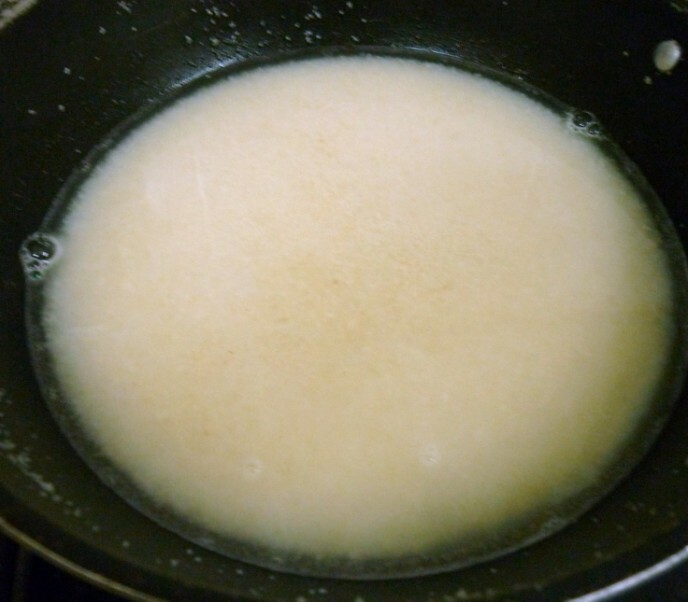 If you are using the extracted coconut milk, add the 2nd and 3rd milk. Bring to boil, finally add the 1st coconut milk that will be thick. Heat a pan with ghee, roast the cashew nuts. When the payasam is of the thick smooth consistency, add the roasted cashews along with ghee. Thanks for stopping by! Happy Navaratri to you.. 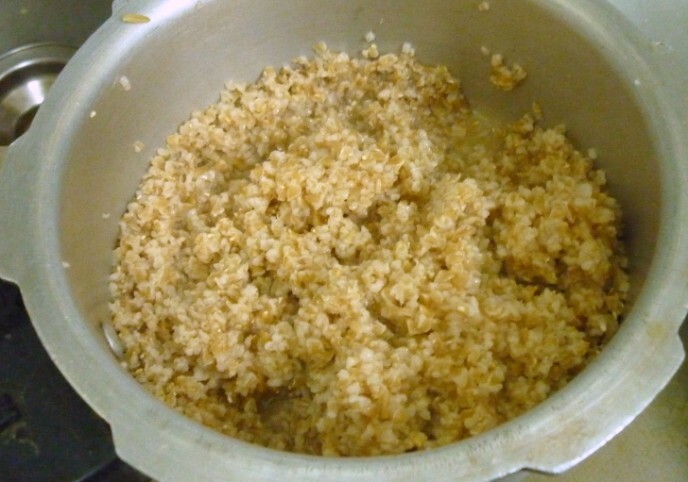 Broken wheat payasam, upma as well as kesari baath all turn out equally well and we love it too.. Happy Navrathri! I love broken wheat payasam and that one here looks like a bowlful of deliciousness! Happy Navaratri…both the dishes looks lovely and yummy..